With the approach of the plastic bag ban in our town approaching (officially in June) I have begun making some reusable grocery totes. Of course, these aren't the plain ones you can buy at the grocery store...these have to have some style! Currently I am offering four Boston sports teams, the Patriots, Red Sox, Celtics, and Bruins, but I do plan to branch out to a few more teams (I have an order in queue for the New York Yankees and New York Giants, and as a Red Sox fan it pains me to make these, but I will do anything for a customer). I also have some Harry Potter, Star Wars, Looney Tunes, and nautical fabric to turn into stylish bags. They are the same size and shape as the current plastic bags, but they are lined and much more durable. Easy to toss in the washing machine to keep them clean and bacteria free! The price may seem a little steep at first (licensed fabric isn't cheap), but in the long run the bags are worth it! I use mine all the time and always get compliments on them. 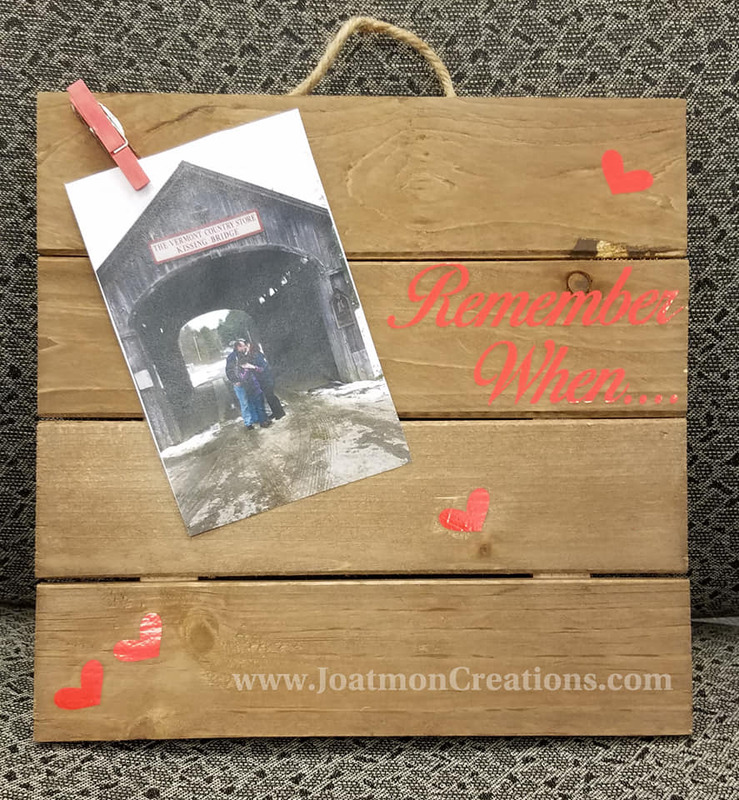 Please take a look at JoatmonCreations.com and let me know what you think and if you have any ideas for patterns please feel free to comment. I am always happy to take custom orders! 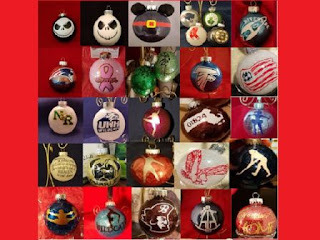 This past holiday season my customized ornaments were a huge hit and kept me really busy for the last three months of the year. I loved creating all of the designs that my customers asked for, no matter how challenging they were. One ornament in particular was requested by a friend for an entry in the local Parade of Trees raffle. The tree was being donated by the Danvers Family Festival Committee, a group which organizes two weeks of events for our town during the summer. For their tree I created a basic blue glittered ornament with the DFF logo in red and white and it was regarded so well, a few more people ordered them for themselves! This gave me the idea that maybe I could come up with a way to continue the same success with my ornaments at other times of the year. I asked my friend if the committee would be interested in selling these ornaments during their June and July events as a fundraiser, where they set the price and I donate a portion back to them. My friend loved the idea, and took it a step further by suggesting I create 9 more designs depicting each of the events the DFF committee would be organizing! I was so excited about this idea, I built some of my 2019 Goals around this potential partnership. I stocked up on as many ornaments as I could carry before they left the stores in December, then I created mock ups for all of the possible designs. The committee chairperson loved the idea, but then I didn't hear anything for a month. Then two months. Then I thought "maybe they forgot about this or decided not to do it." I was disappointed, but I didn't want to be a haunt about it and figured they would reach out if they ever decided to pursue it. Then last night I got the call! Due to meeting cancellations, the committee hadn't had a chance to see the ornaments until this month and they LOVED them! It sounds as if they were just as excited as I was about this partnership!! They would like me to be present at the events to help sell them, which makes total sense and I am very happy to do! I have always wanted to be a part of the committee, but had no idea what I could bring to the table. Well, now I know! It will be a very easy way for them to make money for the festival with minimal effort on their part. For me, it will be an awesome way to get my brand out there for others to see. I was told to have plenty of business cards on hand and there could be opportunities to work with other groups in town! It is usually pretty hard for me to put myself out there, other than posting my products on my Facebook page, but I am so happy that I made the move this time. It will be a lot of work, but I love being able to be a part of such an iconic event! If you are interested in ordering a set (or individual ornaments) please feel free to pre-order yours at JoatmonCreations.com. 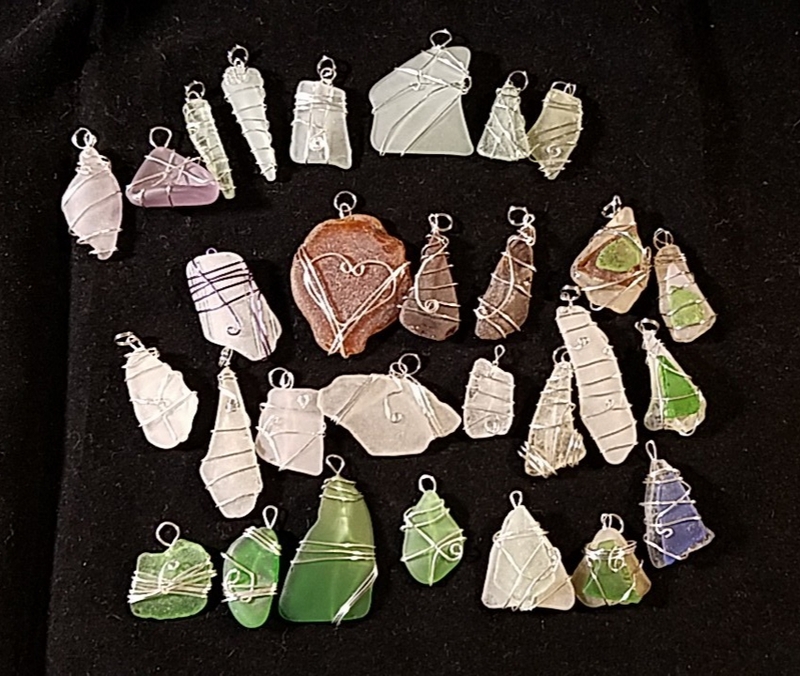 A few months ago my son, husband, and I took a walk to a small rocky beach during a family birthday party and discovered a wonderful treasure-trove of sea glass. As there was so much strewn about amongst the rocks, we figured the area had to be relatively unknown; a hidden gem of sorts. As with all of the sea glass and beach treasures we have collected over the years, I put it in a pretty jar to display in our house and left it at that. Over time whenever I'd look at it, I thought about collecting more and more, so despite the bitter cold of January, I convinced my family to go back to our new favorite spot to hunt again. However this time, I wanted to do something with it. Something decorative. That's what I have always wanted...something creative and artsy to add to my shop. We gathered up a bagful of pieces, took them home for cleanup, then I just stared at them. I thought of many different things I could do, but nothing really resonated. On a lark, I wrapped some wire around a piece and posted a picture on my Facebook page. My comment beneath it was something about not planning to make jewelry, but it's fun to make a few pieces while trying to decide what to do with the rest. Immediately my friends started commenting on how pretty the piece was and encouraging me to make more. So I did. Lots more. So many pieces that I am overloaded with pendants now, but luckily people are still interested. I just need to get those sales going on Etsy or JoatmonCreations.com, but I am confident they will start rolling in soon. It's just too fun to make them, so I won't give up. Now this is where I start thinking about my last blog entry which was all about "Guiding Words" and how my word for 2019 was "DEPTH". I love that I am adding more depth to my offerings. The tagline for my shop is "Handmade Novelties and Gifts" so offering jewelry really falls into this classification. I want to be a one-stop shop for people that are looking for unique items as well as functional ones. Of course adding a new product line will bring it's own challenges, as I already have way too many things on display when I set up at craft fairs. But I am hoping to be better at judging what the customers want at each event I attend, so I can limit what I set up. It can be difficult to do this, since every fair in 2018 had quite a mix of different product sales. But this is why "depth" is so important to me. I hate limiting myself and I hate limiting my customers. My ultimate goal is to become the first shop someone thinks of when they need to buy a gift. I do already have a nice base of repeat customers (whom I love!! ), but I'm hoping to get someone new to my site to see the pendants and then next thing you know they are clicking around exclaiming "wow, you make that, too?!" A girl can dream...(with depth)...right? Last year I saw an ad online for a piece of jewelry that asked "what's your word" for the year, with the intent that you would have this word embossed into the jewelry as a reminder. I thought it was a neat idea to come up with a word to guide me through 2018 so I gave it some thought and chose the word "Change." I wrote a list of what types of changes I wanted to make and I set about doing them for a little while. Now that I look back at the blog post on this subject, I am sad to see that I wasn't very consistent with my changes and the word didn't guide me as much as I had hoped. This year I didn't start with a word, but I did think about new changes I wanted to make. I always set goals for myself instead of making resolutions, that way I am not disappointed when I fail the first few times. Instead, I have all year to strive for these new habits (or removal old ones). One of my goals for this year was to be less timid. Over time I have found myself retreating back in conversations, not offering much because I feared I would sound stupid or not have anything to offer. When people ask me about myself, my typical answer revolves around being a mom and crafting, but nothing much outside of that. I am in my late forties and still feel intimidated by others, therefore I don't want to participate in a conversation for fear I have nothing of value to add. If I don't understand what is being said, I just smile and nod, hoping the discussion would be over soon and I can move on. I wasn't always like this, so why did I feel this way now after so many years? That's why I decided one of my goals for the year was to be a little more confident and try to speak more, and with substance. I want to learn more, read more, absorb more, so I gain that confidence in conversations. If I don't understand what is being said, I will ask for clarification so I can really participate fully and with relevance. I still want to talk about my son, husband, or crafting business, but do it in an interesting way so others will want to listen. I want to become more profound, more engaging! Depth: Complexity and profundity of thought. Deepness, wisdom, understanding, intelligence, discernment, insight, acumen. There are so many ways that this word can guide me this year in my personal and professional life, and it has lit a fire under me that I needed! I highly recommend everyone do a search on Guiding Words and randomly pick one for yourself. Even if it doesn't make sense for you at first, really think about it and I am sure you will come up with multiple ways that it will lead your way through 2019. If you do this, please comment and let me know what your word is. I'd love to check back as the year progresses to see how it is going for you. I cannot believe we are already one week into 2019! I know I say it every year, but I just don't understand how 2018 went by so fast! It could be because the last two months were a blur for me. I always tend to be very busy at the holidays, but this past November and December I was completely blown away by how my Christmas ornaments really took off! I first did glitter and vinyl ornaments in 2017, with some success, but for some reason this year after custom designing one for my high school alma matter, it snowballed into close to 200 customized ornaments depicting school mascots, favorite sports teams, movie characters, and more! My ornaments were even part of several fundraisers for different organizations!! The best part of it all? I never got bored. Frustrated, maybe, but never bored. Often times if I am doing the same thing over and over I just yearn for a change, but because there were so many designs to work with, that feeling never came over me. Of course some of the designs were really difficult to recreate and I wanted to quit many, many times, but I found that if I put the file aside for a day or two, then went back to it, I was able to take an "I just can't" and turn it into a "look what I did!!!" What a great sense of accomplishment and pride!! This achievement also gave me greater confidence in marketing myself. I often post my creations on both my business and my personal Facebook pages, but sometimes feel silly (or guilty) for flooding my friend's timelines with "crafts." However when I started getting messages from strangers that saw what I was making for other people, I realized my work was getting out there and recognized. People were sharing my creations because they loved them so much!! 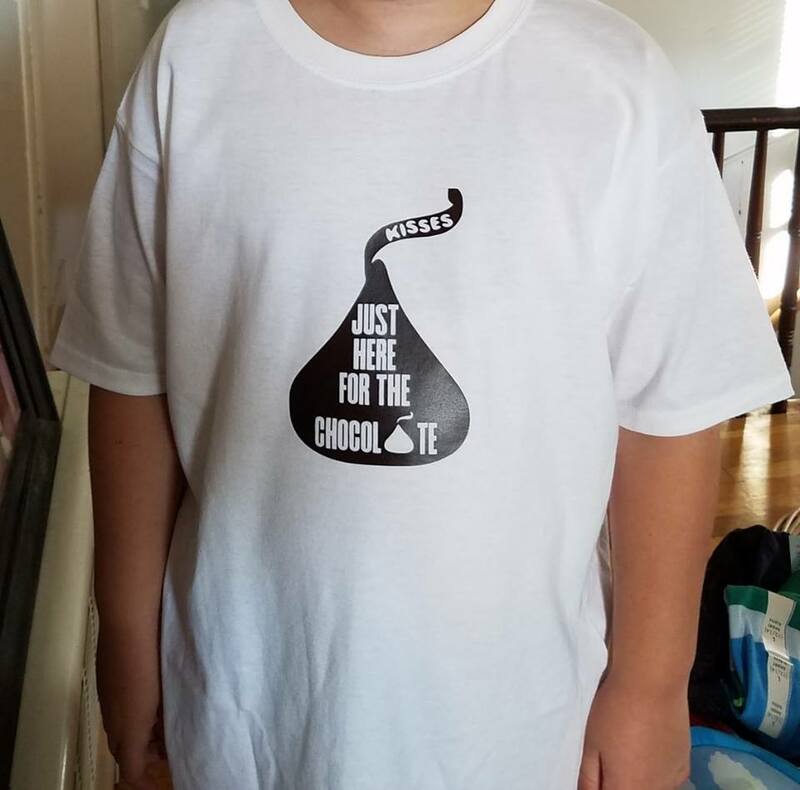 This led me to approaching a friend on the committee for our town's summer festival about making an ornament to sell as a fundraiser. I figured I could offer one ornament that had the name of the festival on it which they would buy at a discount and mark up a few dollars to raise some money. My friend had the brilliant idea to take it a step further and asked me to create 10 different designs, one for each of the events happening during the two weeks leading up to July 4th! So, no longer will my ornaments be just a Christmas product, but I'll be selling them in the summer as well!! 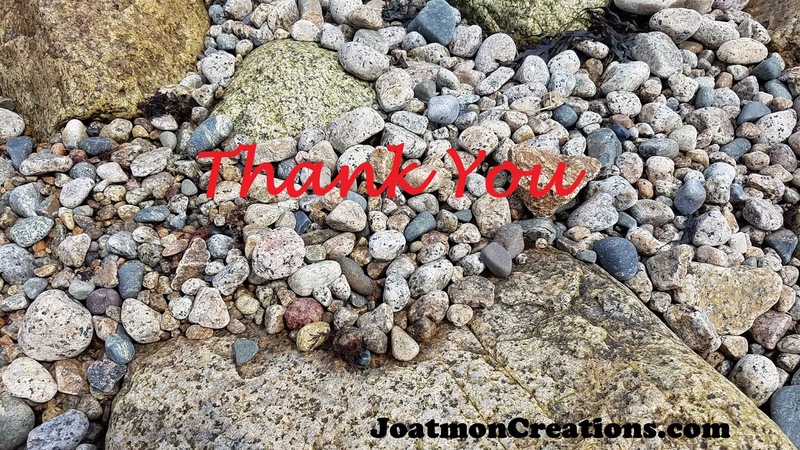 With this great new opportunity, I started to think about how I can make 2019 my best year ever for Joatmon Creations. What can I do to sustain a profit all year round, instead of just making most of my money at Christmastime? How can I make my hobby business into something a little bit more? While I was giving this some thought I stumbled upon a challenge on Facebook. The timing could not have been more perfect! I actually cannot even remember how I found out about this or what group she posted in, but I joined this three day online seminar of sorts called Create Your Profitable Craft Business. The challenge is now over, but if anyone is interested in checking it out, perhaps she will be offering it again in the future. The challenge really did not take up much time, but it did cause me to really think things through. The first thing I needed to do was pick my right goals for 2019, figure out what sales channels to focus on, how to create a bigger impact, and how I can give more value to my customers. These are some things that I never really sat down and thought about before. It made me realize that by utilizing my blog more or posting questions on my Facebook page, I can really engage my customers and see what kinds of things they are looking for all year round. The reason I have so many product lines is because customers are constantly asking me if I can make certain new things for them. This brings me to where I disagree with the challenge facilitator slightly. She has excellent points about creating products for just one specific customer, but I feel that my business has grown exponentially by being able to customize and cater to a wide range of people. When I recently did a craft fair at a microbrewery I was exposed to more male customers than ever. They weren't interested in my headbands, but they did like my beer mugs and ornaments. If I just stuck with my original ribbon items, I would have lost out on a lot of sales (or not gone to this fair at all, which ended up being one of my more profitable ones this season). The description of my business is "handmade novelties and gifts" but it really should be "customized solutions for what you really need right now." Now, see, I have digressed from the important information I gleaned from this challenge, but that actually segues back into our second day assignment... creating a project calendar. I am so easily distracted, as you could see above. This happens mostly when I am telling stories, but also when I am crafting. I see a shiny object and I start focusing on it, until something else catches my eye. It also sometimes results in lack of follow-through. Not because I don't want to finish a project, but because I am too afraid to start it, or don't know what the right time to start would be. By creating a six-month plan I could see what big projects are on the horizon (like the 100 piece order for a local high school hockey team or the ornaments for the two-week family festival in June). Then I can plan out when I need to start working on these projects to be successful. Interspersed through those will be my regular sales and promotions. 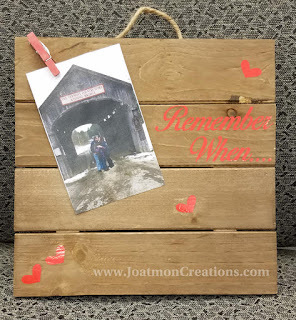 I have a bad habit of advertising my products the week before a big holiday, but now I can see when there will be some down time while I wait for the hockey ribbon to be made, so I can whip up some Valentine items and put them in my shop, like this frame I made today. With this project plan I can also see when I may have time to fit in some craft fairs, something I want to add to my calendar all year round, not just at Christmas time. I've looked into new fairs that I'd like to participate in, as well as their deadlines so I am not jumping in last minute. By doing this, I'm guaranteeing a little income throughout the year, but I am also getting my name out there and my products noticed. Just today I got an email from a customer that bought an ornament from me in November based on a posting in a local Facebook group, and now she is looking for some matching decals. There is nothing that I love more than a repeat customer!! Finally, one of my biggest takeaways from all of this is that I need to give back a little, so if you order from me in 2019, expect to find a small token of appreciation with each order. 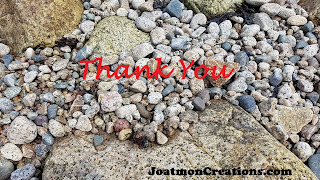 It could be a small decal or a little bookmark, but just something to say "thank you and I really appreciate that you thought of me for your handmade items." So far, I think 2019 is already shaping up to be pretty great. 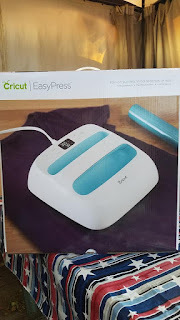 So, I am a huge fan of Amazon Prime Day, even though I know that I buy too many things that I don't really need, but momentarily tell myself I must have. In other words, I am the sucker they look for every July. However this year I got something on my wish list and I have no regrets! It's the Cricut Easy Press which is a 9" x 9" mini heat press. Since I've started using my cutting machines (both the Cricut Expression and the Silhouette Cameo) I've wondered about making t-shirts, but was always intimidated. There are too many variables and a lot of opportunity to make a less than stellar product, which I won't sell. Plus the market for custom shirts seems to be oversaturated, so it's not a ring I cared to throw my hat into. Nonetheless, I still thought it may be fun to eventually make a few shirts for myself and my family. Now I am addicted! So far I've only made three identical shirts because I only had one color heat transfer vinyl, but I have an order expected this week with 8 more colors. I also have a rhinestone starter kit that I can't wait to try out. Then this morning I realized I could probably use this for my notecards!! 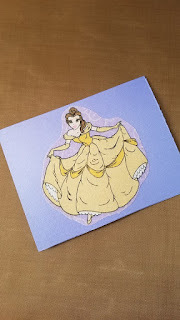 I used to love cutting scraps into different designs and then using heat bond to adhere them to cardstock. It would take a while to make sure the glue warmed up enough, but now with the Easy Press, it's going to be a piece of cake! 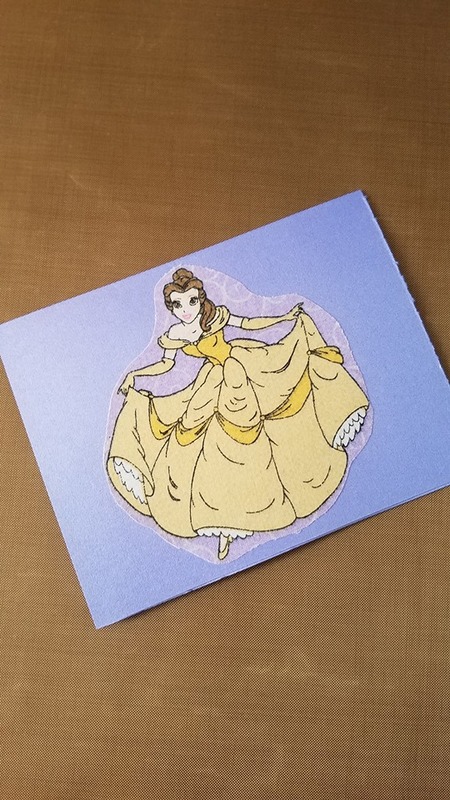 I tried it out with this piece of Belle fabric just to see how it worked, and 30 seconds later I have a cute little card. As I was finishing the final addition to the 80 wine glass order I was doing, I thought I should video the steps for posterity...or at least to remind myself of what I did in case I need to remember in the future. Note that I did not include the decal design (using Silhouette Studio), the cutting (using my Silhouette Cameo), or the weeding (removing the parts of the vinyl surrounding the cut or the tiny pieces that lurk inside the 'h' or the teeny triangle that separates the 'y' and 'e' into separate letters, etc). Honestly, in this case the weeding took the longest time in this process. Finally, I also did not film the cleaning of the glasses, but that is a must. They should be washed and free of any fingerprints or smudges before applying the decal. I did all of that the previous night so they could air dry upside down without needing to use a towel (and risk lint). In the past I've used alcohol as a final cleaner, but I found that it made adherence of the vinyl difficult this time around. So, here is a video of the actual application of the decal to the glass.